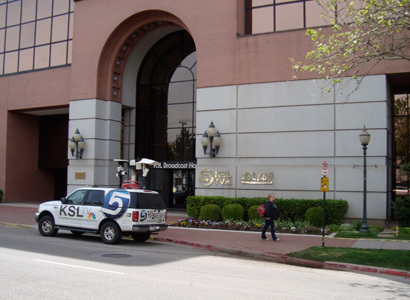 LDS Church-owned Deseret News shares space with KSL-TV and KSL radio at 55 North 300 West in Salt Lake City, Utah. Gilbert gives an example of display advertising vs. behavioral targeted advertising. Newspapers want to cram a one-size-fits-all model into an advertiser world that is customized and dynamic in real time, he says. 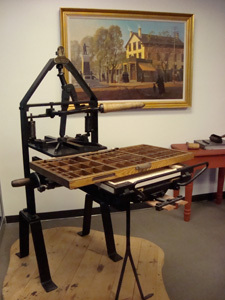 In print, we publish the Deseret News and everyone sees the same ad, says Gilbert. “Online, everyone should see different ads based on where they live, what they consume, their buying patterns. Most internet advertisers get [understand] that and view a website that doesn’t let them target as vastly inferior. Newspapers want to say, we’re the so and so Times, but the advertiser doesn’t care. They just want to run their business,” he says. In Gilbert’s view the traditional model of the newspaper is, “I’ll create this really relevant news and people will want to buy advertising around that. When on the Internet, he says, people want to do lots of things and news is just one of them. 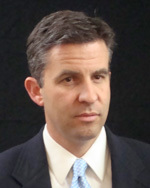 According to Gilbert, what the public says is “we want information. We want databases. We want to interact ourselves. We want to have a voice. You are not the only people who should have a voice.” Gilbert views this as the greatest democratization of voice that has ever happened in this country. The News provides local coverage to Salt Lake City but also reaches readers all over the state and world who have ties to Brigham Young University or ties to the Mormon Church (The Church of Jesus Christ of Latter-day Saints). (Click on Story of the Newspaper.) 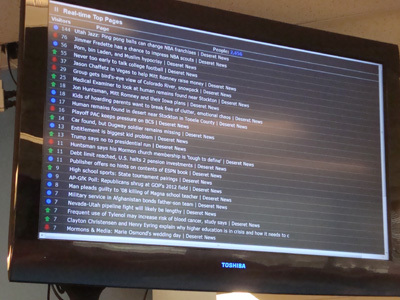 Gilbert identifies three major contributions The News makes to its audiences: High school sports, six areas of editorial emphasis, and an expanded voice through Deseret Connect. The popular media does not cover these six areas of editorial emphasis as rigorously as they could be, according to Gilbert. The six areas of emphasis are: Faith and the community, Family, Values and the media, Education, Care for the poor, and Financial responsibility. 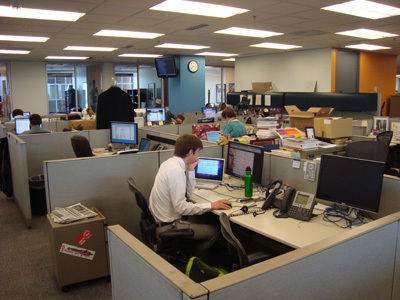 (Click on Enterprise Stories for examples) Journalists from the newsroom, augmented by citizen journalist contributing writers from Deseret Connect, cover these areas of emphasis. Deseret Connect has “over 500 contributors in Utah and over 1,000 worldwide that come from over 20 states and many countries,” says Gilbert. 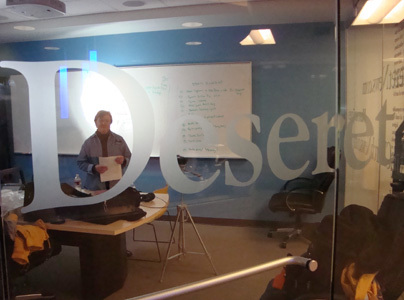 Gilbert sees Deseret Connect as their most recent successful strategic change and identifies the process and metrics used to find, train and evaluate the work of contributing writers. 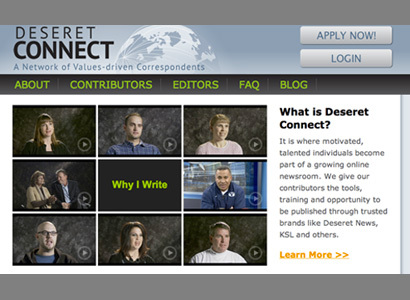 (See the “What is Deseret Connect?” slide above) Gilbert says, “Getting the balance right in the mix of values-based reporting and hard news” was their least successful change. They have now figured out that they have four products: the newspaper, A-1, website, and mobile sites and “each of those needs to be managed differently. Newspapers often treat these four as though they are the same product, and they are not. Consumer and behavioral patterns are very different in each of these four products,” Gilbert says. VP Digital Chris Lee explains The News’ perspective about journalists’ bias. “People want to know what a journalist’s biases are. Most successful news organizations today are those that reveal those biases and they let the public know,” Lee says. 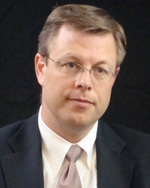 Lee believes The News has the potential for more significant and greater reach. “We want to be a top-10 newspaper website,” he says. Coming Next in the Mountain States series: The (Grand Junction, Colo.) Daily Sentinel followed by the Plains States series: The Lawrence (Kansas) Journal-World, the Aurora (Neb.) News-Register, the Cedar Rapids (Iowa) Gazette, and the St. Cloud (Minn.) Times.